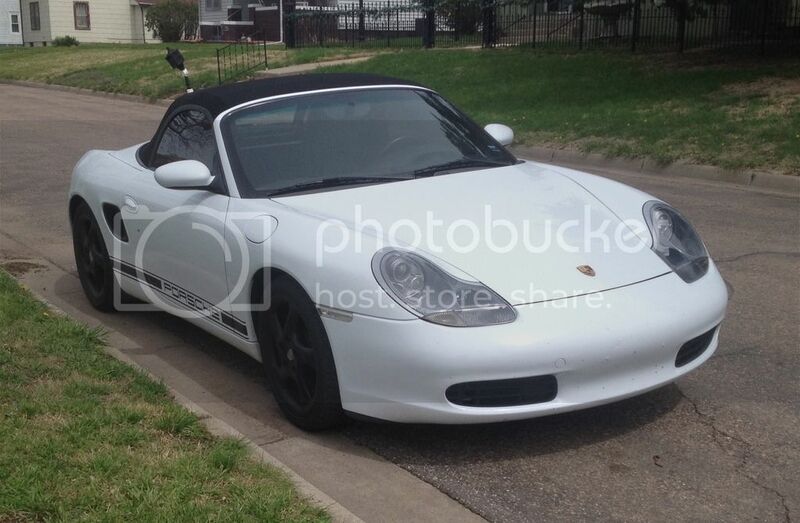 There are several companies that can tune your Boxster for $$. Good for 15-25 Hp. I like to tinker a bit, have 02 S model and ready to dabble. What is the one reasonable mod for several hundred dollars? So far upping to 74 mm TB with 987 Ypipe comes to mind. Tuning is more closer to 1K. Your thoughts. Try a secondary cat delete. Top Speed offers them for $200 and should be good for 4 to 6 hp. It should still pass CA smog as it will not throw a code as long as they don't do a visual which most don't on these cars. Other good option is a underdrive pulley. Also about $200 and is worth about 5 hp. Anything else get real expensive relative to the results. I used to live in Pasadena for 35 years. The best bang for the buck is an underdrive pulley. Count on 5-7 ponies for about $200. 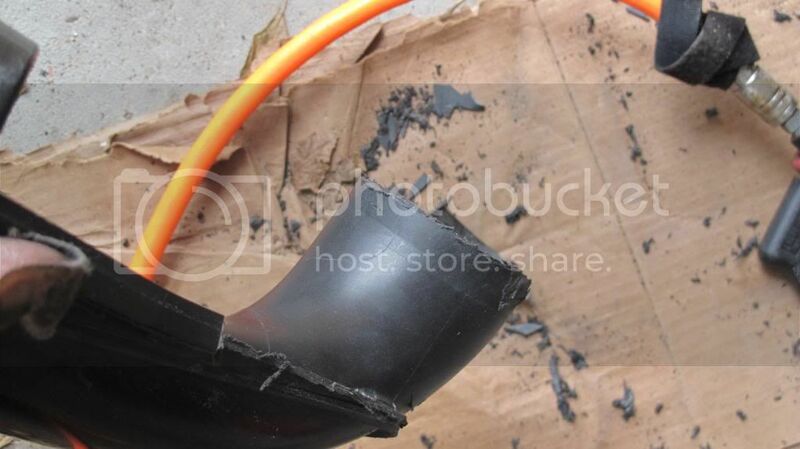 Cat delete pipes can also net you 5 or so hp for $200. ECU tunes are really expen$ive, and may net you 15 or 20 hp if lucky. I second the under pulley mod. Desnorkle is a good free mod. It may not give you any HP but it sounds nice. Wont give you any horsepower but I purchased a Short shifter from a forum member (http://986forum.com/forums/diy-project-guides/54726-ball-bearing-short-shifter.html) bought a new shift knob and replacement boot all for around $225 and I absolutely love the difference. I think the aforementioned underdrive pulley and Top Speed delete pipes are probably better if your looking for performance gain but the shifter does increase the fun factor. Aftermarket headers made my 2.5 about 18 HP stronger with before/after dyno pulls. They're not expensive. However, I'd have to agree with others here that the underpulley really gave me a kick in the pants when I downshift that nothing else has provided. Fred's projectors will take 15 years off for about $375. Also adds a minimum of 30hp. 987 air box with K&N air filter, 996 76mm TB and 997 Distribution T. I know this mod gave my 3.2L a 20 HP bump. This engine loves more air. Doing the mods yourself should be around $250 max. This makes a $200 Under Drive Pulley 5 HP look silly. EDIT: Maybe $300 for the air intake upgrade. I forgot to add in some extra pieces you'll need and the silicone couplers. Next on my list is headers, secondary cat delete pipes and Borla muffler. Last edited by KRAM36; 04-30-2015 at 07:21 PM. 987 air box with K&N air filter, 996 76mm TB and 997 Distribution T. I know this mod gave my 3.2L a 20 HP bump. This engine loves more. Doing the mods yourself should be around $250 max. This makes a $200 Under Drive Pulley 5 HP look silly. It's a nice Mod but you almost need the engine out to pull it off. 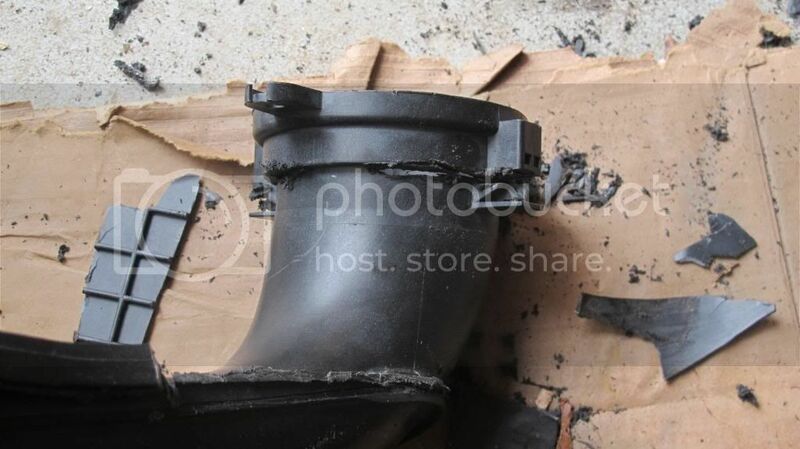 I've seen some other cut off the outlet pipe and remount the original MAF in my opinion this defeats the purpose. Kram, I would be interested too, what is the toughest part of this conversion? Did you need to pull the engine? This sounds better than the IPD conversion. 20 or so more ponies at a fraction of what they want sounds like a no brainer. I am new to the Porsche scene but do turn a wrench. I love these cars! Last edited by Lapister; 04-30-2015 at 03:48 PM. These are the threads I got my info from. You don't need the motor out to do it. I can give you the part numbers, I'll need to look them up. Last edited by KRAM36; 04-30-2015 at 05:10 PM. I second Kram here, finished my TB/plenum swap couple weeks ago. The 2.7 gets places on the freeway now, very happy. I will add that secondary cat deletes and exhaust (I did Beluga Racing - <$300 for the backbox, but still blows fiberglass), will give you a response/hp boost, and AWESOME sound. And that sound is awesome all the time. My brother used to DD this car completely stock, and when he drove it after the exhaust he felt it was just what it needed. Still quiet cruising, no need to yell on the freeway even with the top down. This silicone hose to connect your TB to your intake pipe. You will need 2 of these to clamp the silicone hose to the TB and to your intake pipe. Get these to mount inside your intake pipe that goes to your TB, only 2 will fit in there, but the set comes with 4. Adds strength to it as it's flimsy. You can probably reuse your plenum gaskets, but I went ahead and bought 3. I could have reused mine. 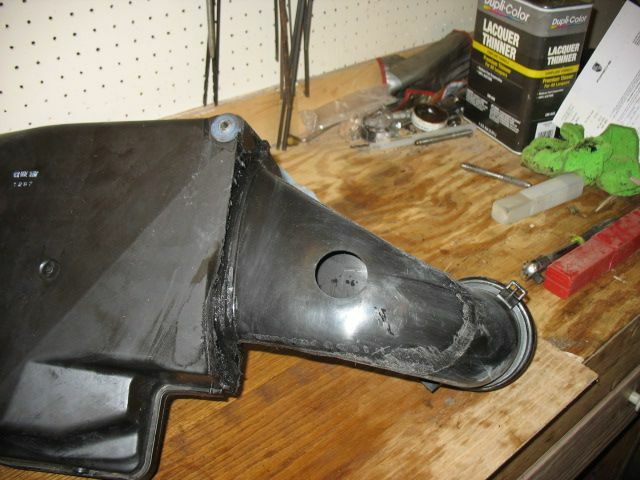 Search eBay for a used 987 air box. I got mine for $75 shipped on a Best Offer. Search eBay for a used 996 TB. I got mine for $100 shipped on a Best Offer. Search eBay for a K&N air filter, if you want to use one. You have to reuse your MAF housing off your 986 air box or the ECU can not read the air volume correctly. I wanted to be able to clip a 987 MAF house back onto the 987 air box so I could get more air into the motor, but that requires a tune, so I molded the 986 MAF house inside the 987 MAF housing. When I get the headers, cat delete pipes and Borla muffler, I'll get another 987 MAF house and have a tune done on the car, so all I have to do is unclip the 986 MAF house and clip in the 987 MAF house and get a bigger intake pipe. You will want to get a plastic iron for this. Hope you have a Harbor Freight around as I broke 2 of them and just took them back and exchanged for new ones. You will also use this to cover the hole in the 987 air box. Cut out a piece of the metal screen that's included with the iron kit, melt it into your 987 air box hole, then use the plastic strips in the kit to seal the metal screen. I also wrapped the end of the intake pipe that goes to the MAF housing with the metal screen to give it more strength, melted it into the pipe, then melted the plastic strips around the metal screen. Or get one off eBay, but be very gentle with it. You will need to fill in the gap around the 986 MAF house to the 987 MAF housing. Use this as it melts when it gets hot from the plastic iron. You don't fill it up completely, just enough to seal it. Get these to make it easy on yourself filling in the gap. You will also want to glue the bottom of the 986 MAF house to the 987 MAF housing. This keeps it in place while doing your work. I also used the Honeycomb air straightener so the MAF sensor could get a more accurate air volume reading. You will need remove the 987 MAF house screen and cut out the 987 plastic to install this. You will also need to trim a bit of plastic away from the inside of the 986 MAF house to get the Honeycomb air straightener to fit inside it. Use the clamps you took off your old Distribution T to clamp the Maf housing to the intake pipe silicone house. This is a time consuming job, but the end result is well worth it, when you mash the throttle the car goes like stink and the intake roars. One more thing. 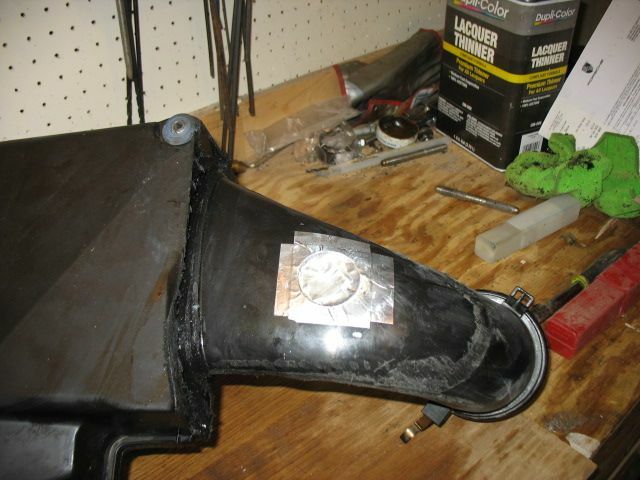 If you do it the way I did mine, follow Brad's advice in this post or you will not be able to mount the 987 air box with all the screw hole mounting points. 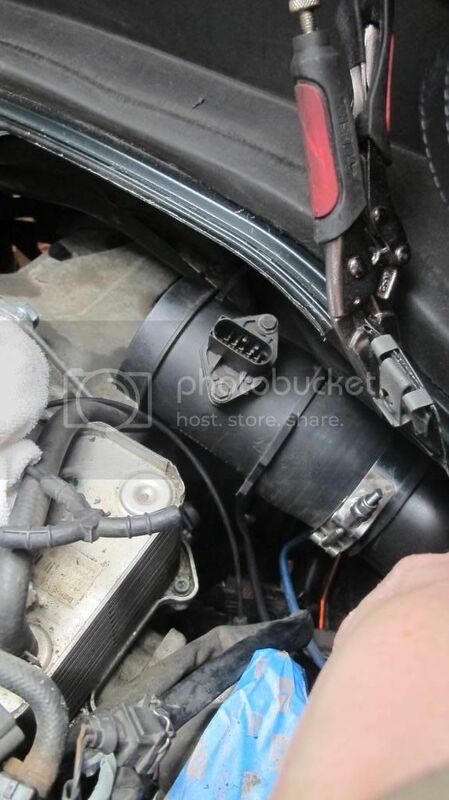 The hole I have circled in red will be the screw hole you can not use unless you give the air box some extra room. Take one of the blue grommets and roll pin off your old 986 box, put it in that hole then get a screw bolt that is long enough to reach the screw hole treads in the chassis and tighten it down. Last edited by KRAM36; 04-30-2015 at 10:34 PM. Kram, Thanks for sharing. You are quite the resourceful Genius! I am definitely pursuing this route above any other mod. Is there a procedure for resetting the TB or just relearns from first startup? What a great write up / details. I'm sure there are many aboard that appreciate what you and some others have contributed to this subject. What a car huh? You will want to have your battery unplugged while doing this mod. After you're done turn the ignition key to on and let it set for about 15 seconds, then turn it off, pull the key out, put it back in, turn the ignition key to on wait for another 15 seconds and start her up. The ECU will be set to the TB and start tuning for the increased air flow. So you took the end out of the 90mm MAF, jerry rigged it in the 75mm original MAF, which you then reused. The air box is mounted without all the grommets and screw, and the tubing although larger than stock is still reduce throughout. Why did you bother? You could have got the same air flow improvement out of the original air box by de-snorkeling, replacing the original inlet tube with a 3" smooth pipe with no chambers, and a high flow air filter. The improvement for this mod come from using the 90mm MAF and 3-1/2" air inlet tube. What isn't mentioned is the cross flow tube need removed, TB needs removed, plenum needs removed, the drive side intake need removed, fuel rail needs disconnected, wire harness needs unclipped from plugs injectors and sensor on the driver side and pulled back. Driver side air grill and the snorkel need removed. 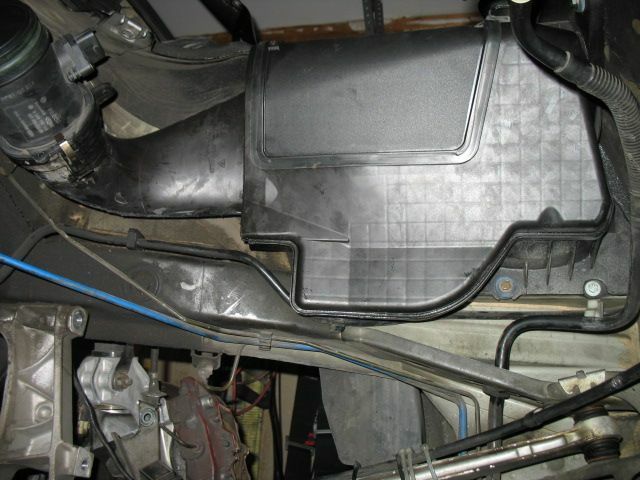 before you can remove or install the old air box and the 987 air box. 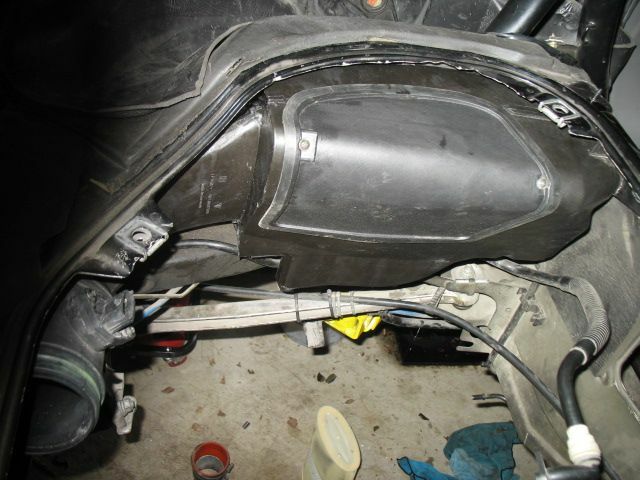 To improve access to the lower part taking off the driver side rear wheel and wheel inter liner help along with the driver side header pipes. Or remove or drop the engine 2-3". the tune from a 2004 spyder will only work on a 2002- car (7.8 dme). I was able to get the airbox in without denting anything (you do have to modify the airbox by removing the muffler, and getting it in is a bear but very possible with engine in place). 5.2 dme cars? dunno. cable throttle cars? dunno. while keeping the restriction in the system isn't the perfect solution, you still see benefits as can be attested to by most who have done the work. compared side by side, there is no argument that the 987 airbox can move more air than the 986. the other thing to realise is that this is a change to the overall principle of operation of the intake - from a reducing diameter system designed to accelerate the air into the cylinders and facilitate induction at low rpms, to an unrestricted system designed to move a lot of air at higher rpms - in this context reusing the oem maf housing is not that bad a compromise, although I could understand in jsceash's situation the 3.6 might suffer more from the restriction than a 2.7/3.2 car. Last edited by The Radium King; 05-01-2015 at 07:36 AM. Holy Cow, KRAM! Thanks for sharing, this is an amazing write up! Now I just have to get up the nerve to try!! "jerry rigged"? I'll have you know that's the most professional looking 987 air box to stock 986 MAF I've ever seen. Why did I bother? 20 HP gain for not much money is why. Are you just a complainer? Did you not read my post as to why I did it this way? I also gave the links on how the installs are done and then posted the parts needed. Your in a dream world if you think a 986 air box with a high flow filter is going to match the air flow the 987 air box will deliver, even with using the stock 986 MAF housing. My car is so much faster after this intake upgrade I have to get new brakes as I'm hitting the corners at such a higher rate of speed, the stock brakes are not cutting it, even with the "restrictions" and no tune needed. Question asked, Best Bang for Buck Mod. So do you want to spend $200 on a UPD for 5 hp gain or spend $300 and get 20 HP? The car roars at WOT with the snorkel on, runs better through the hole RPM range. This is a Mod you will feel, UPD, not so much. Last edited by KRAM36; 05-01-2015 at 05:47 PM.